This is the place to find "Books, Photos, Apparel and Gadgets" all of which are now available from the gift shop in our museum. Also available is a vast collection of research material for all who are interested in our local history. All these items are available for purchase online through PayPal. Otherwise, please visit our museum or order by calling the museum at 661-245-7747 during museum hours. Our friendly personnel will be more than happy to take your order and process it as soon as possible! In the mid-nineteenth century, the U.S. Army would employ a weapon that had never before been seen on its native soil. From the Middle East came a cavalry mount that would fare better than both mules and horses in the American Southwest. Against the Mojave in the Arizona Territory...against the Mormons in Utah Territory...during the early stages of the Civil War, the camel would become one of America's great military experiements, and a nearly forgotten chapter of Americana. $18.00 Hard cover. From the book I learned that Joseph Gale was quite a character. In his 74 years, he was not only the First Governor of Oregon, he was an explorer, a fur trapper, builder and captain of the schooner “Star of Oregon”. He was a gold miner (49er) and a scout-guide for the Union Army. Gale was a hay farmer (here in the Ft. Tejon area, which is how his daughter met John Cuddy). He was a ferryman on the Kern River . Formerly called Gordon's Ferry, the crossing came to be known as Gale's Ferry. In his 60's he finally settled down as a farmer in Eagle Valley , Oregon ; growing vegetables and fruit. Gale became the first Postmaster of New Bridge, Oregon. He turned to politics and took on causes such as the eligibility of “half-breeds” to citizenship. Many of his descendants live in Oregon to this day. The 5th revised edition was released on October 3rd 2015. 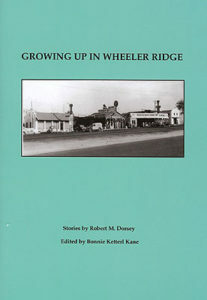 It is a complete history of the Ridge Route from 1915 forward. 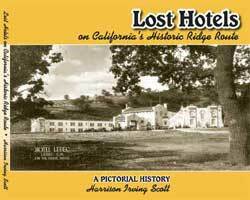 LOST HOTELS on California's Historic Ridge Route. 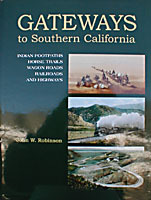 Volume I - introduces the reader to the native peoples of the San Emigdio Mountains of Southern California. It gives an overview of what life might have been like for these early people, the influence that the Spanish explorers, the missions, the trappers and traders had on them, and the local reservation the surviving Indians were moved to. 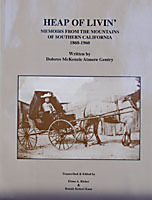 Volume II - is about the founding of Fort Tejon in 1854. The Fort was located at the top of Grapevine Canyon between the Tehachapi and the San Emigdio Mountains of Southern California, along the major roadway of that time. The book includes military, civic and social activities at and around the Fort, the huge earthquake of 1857, the government's camel experiment, the arrival of the telegraph and then the closing of Fort Tejon due to the Civil War. Volume III - is a collection of information and stories about the rise and fall of the Mexican Ranchos and how the Mexican land grants of San Emigdio and El Tejon came to be what they are today. Included is information on the first major industry of the area, sheep raising, the transition to cattle with stories of the vaqueros and bandidos of the late 1800's as well. Volume IV - Part One explores the variety of mining activities that took place, and are still taking place, in the San Emigdio Mountains, especially those of the elusive Los Padres gold and silver mines. Part Two covers the establishment of the National Forest, the U.S. Forest Service, early fire fighting techniques, lookout tower experiences, hunting, snow rescues and airplane crashes. Part Three gives the history of the building of aqueducts and reservoirs through the area. The Roadways follows the development of roads through the San Emigdio Mountains of Southern California from the Spanish trail of El Camino Viejo, to the Los Angeles- Stockton Road of the mid 1800's to the Ridge Route Road of 1914. Highway 99 of 1933 and the present Interstate 5. Many roadside stories and traveer's struggles are included. 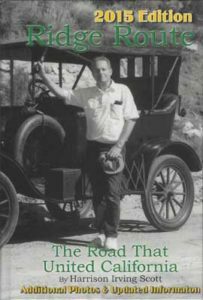 Mr. deLancey wrote a series of articles for a New York newspaper about homesteading in the Lockwood Valley of Southern California in the 1920. This is a collection of those articles which gives excellent insight to what life was like in that area at that time. Stories include the wildlife and hunting as well as the social life and people of the Valley then. This is a light hearted and entertaining book based on research in the early newspapers of the day. Many of the stories take place in the Lockwood Valley of eastern Ventura County. An actual story of this cattle drive recorded by Bill de Lancey who helped out. The cattle are gathered in Cuddy Valley in the San Emigdio Mountains of Southern California and driven through Gorman, along the old Ridge Route Road - "as traffic whipped by at high speeds", through the Antelope Valley, to Fairmont where problems arise and on to the railroad at Lancaster. Mr. Stark has photo'd and thoroughly described the many wildflowers on the Western Mojave Desert and the Antelope Valley. The book is written for people with no botanical knowledge who happen to be curious about the common name of the California wildflowers they see along the road or trail. This is a collection of recipes by old-timers and new-comers to the Frazier Mountain area. Recipes such as "Granny's Zucchini pickles", "Chuck Wagon Beans" and "Alberta's Boiled Spice Cake" grace the pages. Historic photos serve as dividers for the eight sections of the cook book. 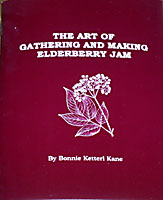 The small booklet is a guide to identifying, gathering and preparing and making elderberry jam. This precious berry has been a source of food since the beginning of time. The jam has somewhat of a natural or wild taste unlike the sugary jams of today. The author also urges readers to plant an elderberry bush to preserve this dying breed of bush, and as well because the birds and bears love them! He describes is as "mostly about the condor conservation efforts of the 1960's and 1970's that led to the current program of captive breeding. It is more my personal story of research on the California condors, and my activities in Condor Country." A collection of poems written by this very sensitive and creative woman about her life in the early 1900's in and between Lebec, California and the Cuddy Ranch in Western Ventura County. Especially moving is her ode to her husband, John - the first Forest Ranger in these mountains.